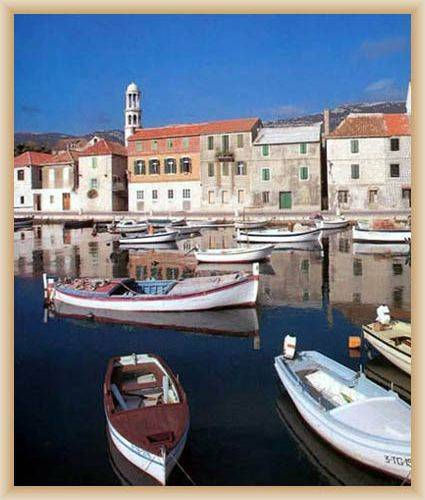 Kastela is one name for 7 single, but connecting villages at the coast of bay Kastela between town Trogir and Split. The centre of village is Kastel - fort built at the end of 15th century. They are located at picturesque coast, and they have unique architecture. They became to be riche residency. 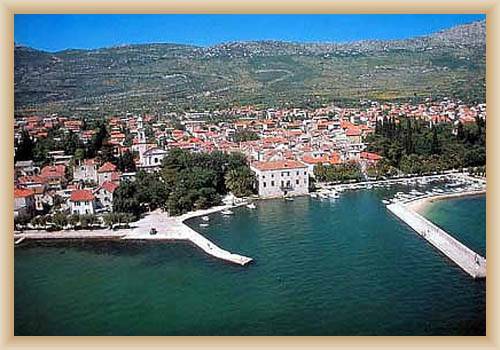 Large platform Kastela cover vineyard, gardens with vegetable. The industry factory is located in the east part. 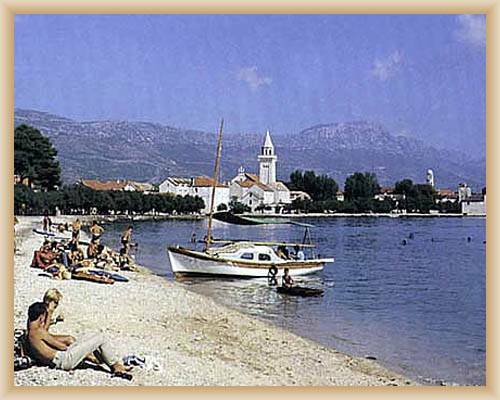 Split is situated near west part, by Divulje. Near Divulje on the west lies airport Split . 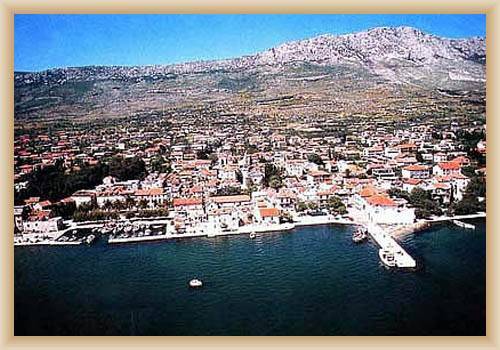 Villages Kaste Stafilic, Kastel Novi and Kastel lie at long Riviera Kastela. Kastel Gomilica (castle Gomilica) - castle was built at island in the 1st half of 16th century by benedict nuns from Split. It is connect with inland by wooden bridge. Castle has a original look. St. Kuzma and Damjan from year 1171 stay by the main road. Sand beaches are great for children. 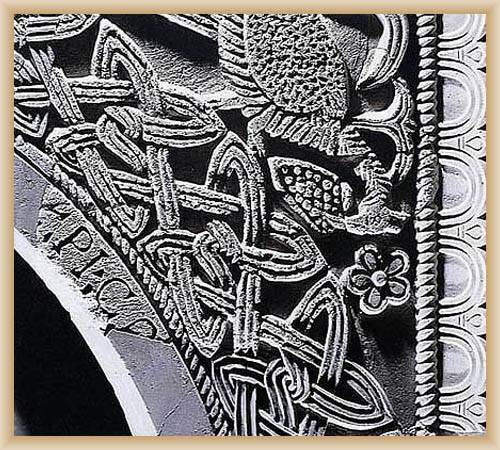 Kastel Kambelovac (church Kambelovac) – church was built at island in year 1589 by aristocratic family Cambi from Split. 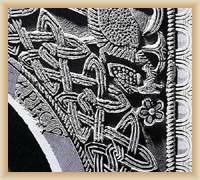 It is connect with inland by bank. The monument include: bastioned house of brothers Cambi at coast from 16th century, round tower and palace with the renaissances balcony in the middle of residency. 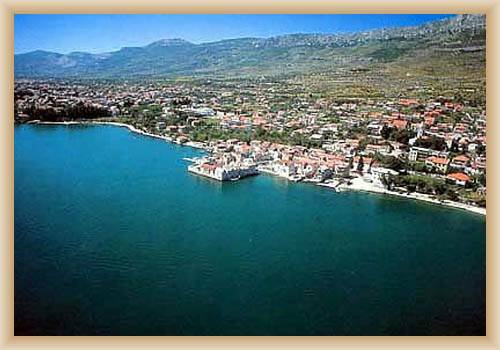 Kastel Kabelovac offer lot of hotels and beaches. Kastel Novi (New castle) – was built it the shape of tower in the year 1512 (author was Pavao Cipiko) The town building and horologe from 18th century are located at square. The renaissance church of St. Rok is from year 1586. Kastel Stari (Old castlte) – the castle was built by humanist an army master Koriolan Cipiko from Trogiru. Kastel was rebuilt after the fair in the year 1492. Around the village was the wall, reminds of wall is still possible to see. On the coast are hotel and two private campgrounds. 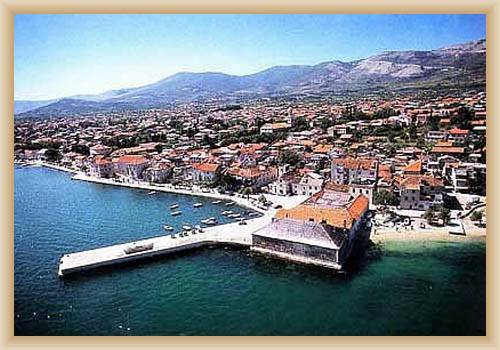 Kastel Sucurac (castle Sucurac) – the first castle built at coast the bishop from Split Andij Gualo. Its finally look is from year 1510. Reminds of the oldest tower, bounded tank and ghotic palace (which was the summer residency of bishops from Split) is still possible to see there. In the area are some private camps. 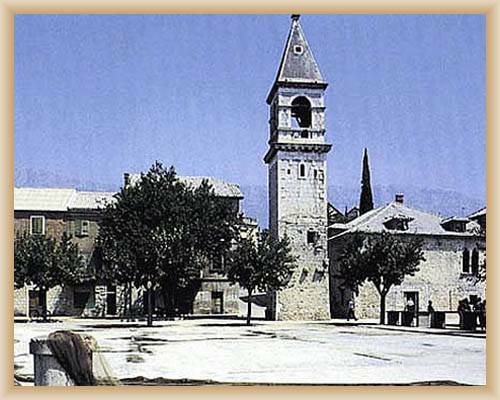 Church Stafilic (church Stafilic) – was named after the first owner Stjepan Stafielovi from Trogir, which built castle at island and connect it with moving bridge. The renaissance tower is still ther. In the village is the caste of Pera family. We can find not finished defense tower (kula IMehaj) at west. 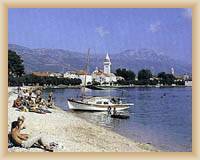 Resnik – Tourist village between Divulje and Kastel Stafilic opposite the airport Split.